Morning tour: 7 am, Mondays, Thursdays and Saturday. Afternoon tour: 3.30 pm, Wednesdays, Saturdays and Sunday from Mid-November to February, or 3.30 pm daily from March to Mid-November. Book the early tour to see Rome before the midday rush. We are comparing Best Rome Walking Tours Prices from leading ticket suppliers and Try to find you Cheap tickets prices on the market. The Best of Rome walking tour is a fantastic introduction to one of Italy's oldest cities. During the 2.5-hour tour you'll journey through Central Rome visiting beautiful squares, walking between incredible architecture and peering into ancient ruins. Get an overview of the long and complicated history of Rome with engaging stories told by your expert guide. But it's not all go go go on this tour, you'll still have time to take a short break and soak in radiance of the Eternal city with either a hot drink or a refreshing gelato. 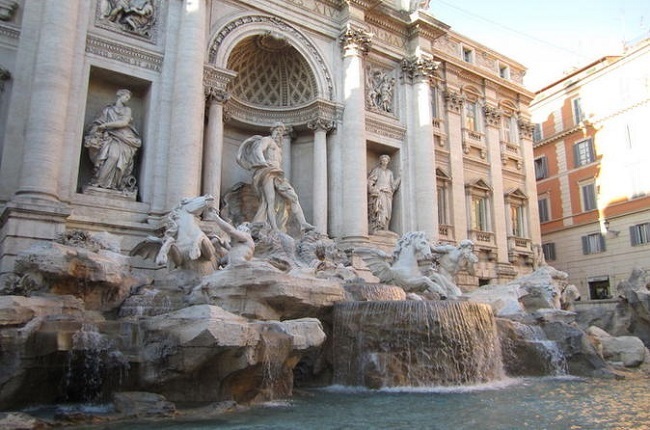 Of course, a city tour of Rome wouldn't be complete without stopping by the Trevi Fountain. This well-known landmark is loved by both tourists and locals, take a moment to drink from the fountains and make a wish. Meanwhile your guide will fill you in on its history. Perhaps you didn't know that particular fountain took over 100-years to construct! Among other places the Best of Rome walking tour will take you to the Piazza del Spagna, Piazza Colonna and the Piazza Navona which dates back to the Renaissance era. At the foot of St Peter's Basilica you will say farewell to your guide and have the rest of the day free to discover the city. This tour fits all of the highlights of Central Rome into a compact 2.5-hour tour which should be perfect for people with a short time in the city. It's also a good option for visitors who want a short and sweet introduction to Rome. This tour is the perfect length for children but will be challenging for anyone with walking difficulties. Your Experience With Best Rome Walking Tours? Explore the streets of Central Rome on foot, visiting the most famous landmarks of the Eternal City. See ornate fountains on Piazza Navona, climb the Spanish Steps and gaze up at Rome's famous Colosseum. Travel back in time to the Pantheon and drink clean water from Trevi Fountain. Enjoy a complimentary gelato on a hot day or a warming beverage in the winter months. Get up to date on the facts and hear the stories behind this ancient city. Get tips and recommendations from a local and knowledgeable tour guide. What Best Rome Walking Tours Includes? 2.5-hour Best of Rome walking tour. Don't forget to ask your guide for some tips on how to spend your remaining time in the city. Travelers Reviews about Best Rome Walking Tours? This tour is fairly new to Get Your Guide so there are few reviews, that said the Best of Rome Walking tour has perfect 5 out of 5-star ratings. Most reviews come from Viator, partnered with TripAdvisor, together they have an average 4.5-star rating from nearly 500 customers. Comments say that tour guides were excellent, very knowledgeable but also able to navigate around the crowded area. Most travellers would recommend this walking tour and agree that it's a wonderful way to see Rome. Some tour providers will charge a fee for cancellations made less than 7 days in advance, please check the cancelation policy before booking. Both men and women must dress appropriately, with shoulders and knees covered, to enter the Pantheon. Entrance is not possible on Saturdays. Meeting Point: Piazza del Spagna, Central Rome.